Here are the symptoms of the issue. 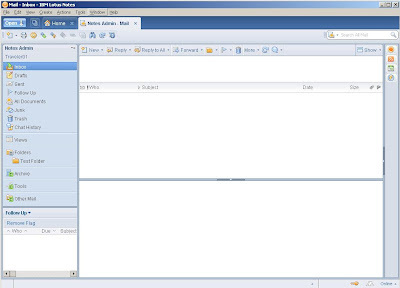 I would open Lotus Notes and the mail database is open to a folder automatically, not the inbox. At this point the 'Search this view' is enabled and is displayed at the top of the view for full text searching. 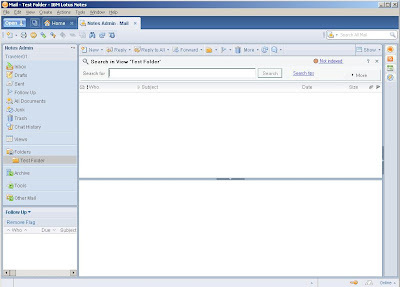 Clicking on the inbox the search this view frame / area goes blank with a white background color. Clicking on the original folder still shows a blank frame. Going to the View -> 'Search this view' to hide it and then going to View -> 'Search this view' to display it still shows a blank frame. Only when closing the mail tab and re-opening shows the Vew -> 'Search this view' frame and the original folder shows up. However when clicking on the inbox the search view frame / area shows blank again. 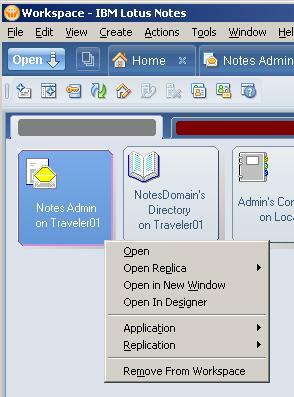 Both restarting Lotus Notes and restarting Windows did not fix the issue. Also checking the database properties under the launch tab, I checked to see if 'Restore as last viewed by user' is checked and it was. Since it is, this is also broken because the last view I had open when I closed the mail tab did not show when I opened it. 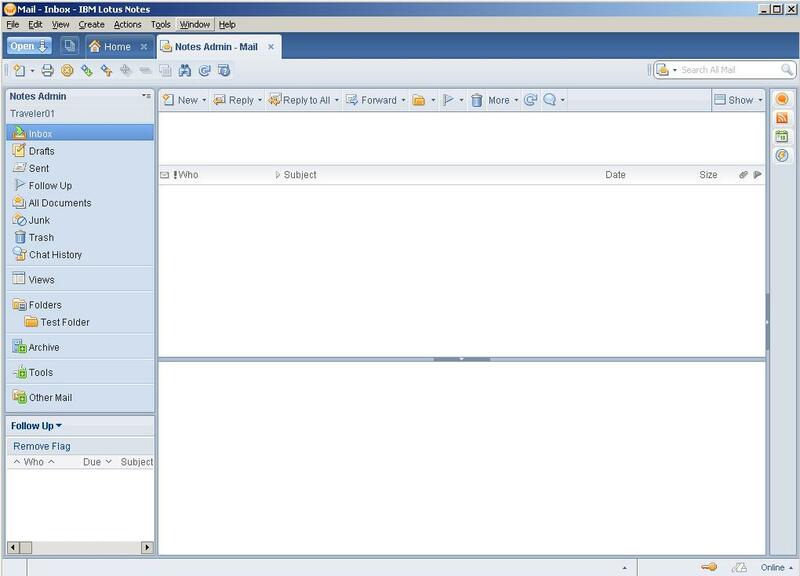 The same folder would display every time I opened the mail database. I tried clearing the cache.ndk and that did not work. I ended up navigating to the workspace to locate my mail database icon. I right clicked on it and choose 'Remove from workspace' and repeated for all servers so that I did not have an icon on my workspace for my mail file. 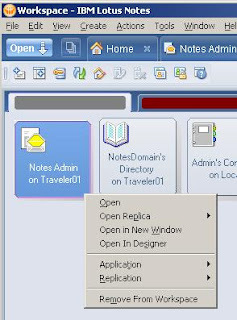 I closed notes and reopened and that fixed the issue for both the 'Search this view' disappearing and the persistent folder displaying when the database was opened. 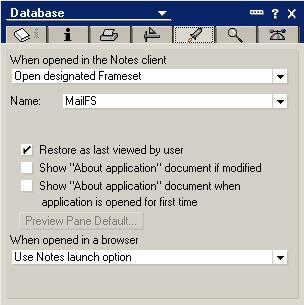 Note: for local mail databases, I had to rename the .nsf extention or move the database outside the /data folder, start notes, remove the local workspace icon, close notes and rename / move back. Note: when removing your workspace icon you will loose your personal settings on view column sorting. Thanks for the blog. I have a same problem and in my case it was solved by changing "Open designated Frameset" to "Restore as last viewed by user" and back in the database properties launch tab. Thanks for post, I believed in my troubleshooting I wanted to retain that feature ( and with the behavior I've seen it wasn't restoring as last viewed by user when it was enabled) hence having to remove the workspace icon. Did you try removing the workspace icon? Wow ! Great tip ! It has worked also for me with the "latest" release 8.5.3 FP 1 !! !